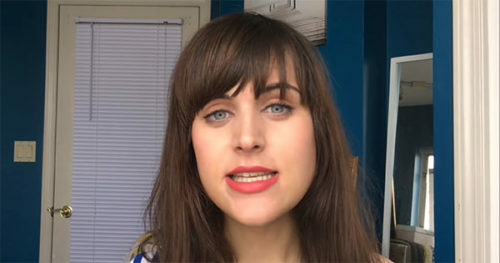 Theryn Meyer is a popular Canadian-South African advocate and social media personality. Her claim to fame is her widely watched YouTube channel that boasts of thousands of subscribers and up to a million views. Her candid and often humorous take on important subjects and her dedication to fostering conversations on topics that society is not paying enough attention to or is refusing to talk about is one of the reasons she is admired by her fans. Bio – Who is Theryn Meyer? Theryn Meyer’s actual birth date is not known as she has not revealed that information to the public. However, she was born in South Africa. Theryn has not always been a woman, she was originally born a boy, but realized she was more feminine and made the transition from male to female, to express the truth and reality of her innate gender. Growing up, Theryn attended an all-boys school in South Africa, where she suffered vicious verbal and physical abuse at the hands of her fellow students because she was different and didn’t fit into the stereotype of what a boy was supposed to be. She never did what was expected of boys and could not qualify as a male in their eyes, which made her childhood rough and difficult. Things turned for the better after her family relocated to Canada while she was in her late teens. For the first time, Theryn Meyer felt like she could be herself and live her truth, so it was here she decided to make the transition from male to female. Later, she gained admission into the University of Vancouver British Columbia to study Music Composition. Theryn began participating in extracurricular activities at the school and became president of a group that was created to promote men’s rights – The Advocacy for Men & Boys Club. Theryn also began lending her support and voice to anti-feminist movements, creating a lot of uproar within the feminist community who regarded her views as outlandish, ridiculous, and antithetical to her very existence as a trans woman. Meyer is an avid supporter of the LGBTQ movement and frequently advocates for their rights to be treated as humans and full-fledged members of society. The vlogger found success when she took advantage of YouTube to start a channel where she vlogged about her opinions on issues like men’s rights and other social topics. Her eponymous channel, Theryn Meyer boasts of popular videos like Men’s Rights and Make Up, This is what a woman looks like, Dr. Jordan Peterson chats with a reasonable trans person, and The Transformation of my Voice MtF. Not a lot is known about Theryn’s family. The vlogger tries to keep details of her personal life under wraps and away from the glaring eye of the public. The YouTuber once admitted that her mother is one of her role models; in fact, she looked up to her instead of her father while growing up, as an example of the kind of person she wanted to be. Her mother taught her how to be a woman even though Theryn Meyer was still a boy struggling to come to terms with her gender at the time. The most Theryn Meyer has revealed about her family is that they were really supportive and understanding when she came out as transgender, and even when she was a boy, they never made her feel inadequate or got angry at her for being girly or feminine. The Meyer family residence together in a fairly expensive and beautiful house in the heart of Canada. See Also: Leafyishere Bio, Age, Girlfriend, Net Worth, Is He Dead, What Happened To Him? 1. Theryn hates the education system and believes it is very harmful to kids who dare to be a little different. Her hatred for the system comes from her own experiences of harassment, bullying, and abuse while she was in high school and college. 2. She strongly believes that men are the underprivileged members of the society, and not women, this is why she advocates for men’s rights. 3. Theryn’s political inclinations lean towards conservative and away from left-wing liberalism. According to her, liberal politics is making things worse. 4. Despite being an avid supporter of LGBTQ rights, she chastises the movement for stances which she claims are now sensationalist and focused on privileging women. 5. Theryn Meyer has earned a lot of money from her support of Pro Men’s Rights Movements and other sources that enable her to live a decent lifestyle.